Jute Rope Cot, also known as Charpai or Manji are made by tightly binding the jute rope with the frame developed of either metal or wood. Designing and making these cots is not everybodyâ€™s cup of tea, it requires lots of proficiency of beautifully weaving jute rope with frame. 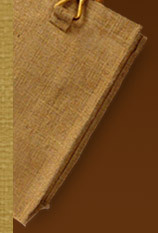 Jute is a warm fiber, hence jute rope cots made up of jute rope find their extensive use in the tropical areas. Today in the era of challenging competition, every firms want to have good sale and attain a leading position so are the jute products manufacturers. One can easily purchase jute rope cots in a perfect amalgamation of aesthetic and contemporary designs. There are a large number of weaving patterns and designs, which provide a completely new and distinguish look to the jute cots. Moreover, for meeting demands of clients, varied jute handicrafts manufacturers provide customized version of these jute rope cots on the basis of patrons' detailed specifications, drawings or samples. The jute rope cots have their wide market in various parts of the globe due to having supreme quality and striking features. Generally, jute handcrafted products are designed and made in rural areas, their perfect blend of traditional & prevailing designs has increased demands, even in the overseas markets. Owing to attributes like lightweight, eye-catching looks, seamless finishing, durability, renewable nature and high tensile strength, these tables are in wide demand. Jute Rope Cots are extensively demanded in the Indian as well as international market due to their durability and recyclable nature. For contributing towards environment protection, varied renowned firms of the market come up and started offering these eco-friendly cots in varied parts of the world. 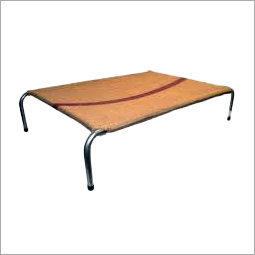 In addition, various renowned B2B websites are also promoting and offering a wide assortment of jute rope made cots.